If you search for Directgov on Wikipedia, or ever happen to browse through our press releases, you’ll see a version of our history that’s based pretty much around landmark achievements and major events. And that’s fine. We are one of the UK’s most-visited websites, after all (slightly larger than Tesco and smaller than Flickr, according to Alexa), and the biggest government site. Since our launch in 2004, we’ve saved taxpayers lots of money and helped people find stuff more easily by incorporating the content of hundreds of other websites; answered the questions of six million visitors during the 2009 Swine Flu outbreak; and covered budgets, jubilees, and changes of government. But it’s an alternative, quieter, sort of history I want to talk about here - one which has, I hope, done more than anything else to help pave the way for our colleagues in GOV.UK. For example. Last week, I was catching up with a friend who mentioned that his 16-year-old niece was in trouble. Things hadn’t been going well with her parents - in fact, a normal home life was becoming almost impossible, and she might be forced to move out. But what would this mean in practice with things like benefits, my friend wondered. Now, even though my job pretty much consists of knowing what’s on Directgov, I still turn to Google first. I type a few keywords into my phone. But, yes, I end up on Directgov. And the page I land on gives my friend exactly the information he needs. That day, mine was just one of Directgov’s stories. I was just one of the million people who come to the site each day to find the answer to a problem, or to access government services. More than 80 per cent are looking for help with employment, education, motoring and benefits, as Martha Lane Fox pointed out in her 2010 review of Directgov. We hope that when Directgov’s been at its best, we’ve helped deliver to these needs quickly and clearly - and then we’ve got out of the way and let people get on with their lives. How we’ve done this hasn’t been particularly glamorous, to be honest. But it’s been quiet, and it’s been constant. There are maybe three aspects to this which I think are worth singling out, and which we’ll be building on with our colleagues in GOV.UK. First, there are the day to day things to do with running a website that aren’t especially high profile, and are sometimes not really noticed when they’re done well - but are painfully obvious when they’re not. Our customer helpdesk team, for example, have replied individually to about 150,000 email queries from Directgov users over the years. Our cross-government editorial team have devoted themselves to ensuring that all content on the site is as clear as possible (not an easy job with 5,000 pages, and, um, one we’ve not always got right), and we’ve trained up people across government in writing for the web. And our technical operations team have helped ensure that the main Directgov site has been available to the public for 100% of the time over the past couple of years. These things have all made a difference. Second, it’s been about the time we’ve spent listening and responding to our users. Over the past few years, roughly 30,000 users each week have rated one of Directgov’s pages (1 in 100 users) - one in four of whom also left a comment. That’s a huge degree of engagement, for which we’re amazingly grateful, and which has made a qualitative difference to our coverage. And that’s not to mention everyone who’s answered one of our surveys, or taken part in our user testing. And finally, I think it’s been about the first steps we’ve made in building a community in government that’s focused on the users of digital services. The idea of producing a government site based around what users were looking for, rather than how government is organised, was pretty revolutionary in 2004 - and to be honest, still sometimes provides a challenge. But the fact it’s been achieved at all, and that it’s worked, has relied on a degree of sustained cooperation across government on a huge scale. Now, none of this is to ignore the fact that the switch to GOV.UK is one that’s sorely needed. Our customer research over the past few years has shown that too many people have been struggling with Directgov’s navigation, and were coming away from the site without finding what they need. And peoples’ expectations of online services are very different now than they were eight years ago - this, in particular, is something that Directgov was struggling to cope with, and which GOV.UK is now poised to address. 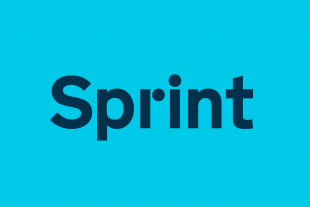 For me, it’s been an absolute privilege to have had the chance to be part of this story - and it’s hugely exciting to see how GOV.UK is planning to take all of our experience of government services onto a whole new level. I cannot find the excellent information that was on the direct .gov website, on the variety of careers and the qualifications or routes necessary to pursue these careers. Where can I find it? Hopefully that should give you what you need, if not please come back to us. Nettie. Hi John - good spot. When refreshing our content for GOV.UK, we looked very closely at the terms people were searching for on Directgov, and the pages they were visiting (there's more about this process here - http://digital.cabinetoffice.gov.uk/2012/10/09/exploring-user-needs/). 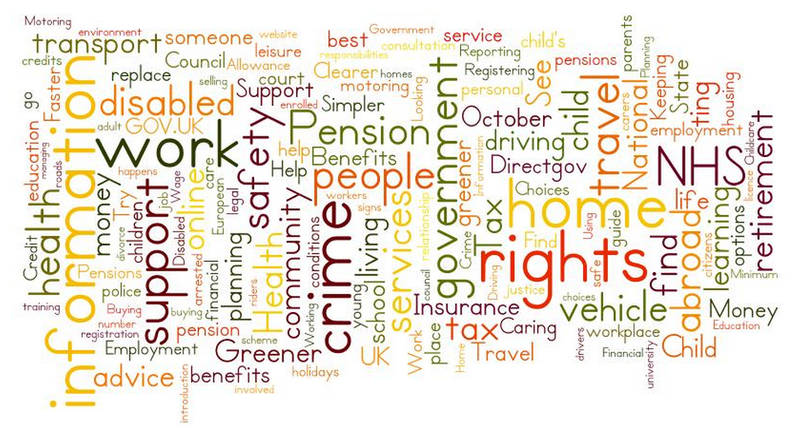 Overwhelmingly, we found that people actually used very specific terms to look for information on benefits - for example, 'income support' or 'Jobseeker's Allowance'. Conversely, only very few people used generic phrases such as 'benefits for young people', or 'help at 16'. So the approach we've taken for GOV.UK is to put all the information on eligibility right where people most need it - that is, alongside the other information on particular benefits, for example here - https://www.gov.uk/income-support/eligibility. We're also conscious of the excellent service offered to young people by organisations such as the Citizens Advice Bureau, who are able to offer face-to-face advice on individual circumstances (http://www.adviceguide.org.uk/england/your_money/benefits/young_people_and_benefits.htm). This is something we couldn't, and wouldn't want to, compete with. We will, of course, continue to closely monitor user needs around the issue, to make sure we've got our approach right. That's an interesting story about finding just the right advice for your friend's niece on Directgov. I assume it was this page - http://webarchive.nationalarchives.gov.uk/20121015000000/http://www.direct.gov.uk/en/YoungPeople/Money/FinancialHelpForYoungPeople/DG_10027506. Is it bad that I can't find the equivalent information on GOV.UK? I've tried searching with all sorts of different keywords, browsing via the benefits section. And I'm pretty web-savvy. Some bits of Directgov may have been a bit over-wordy, but has the baby been thrown out with the bathwater?